Get hands-on with our solutions at NRF. Ready to blaze new trails? We’re ready to help. 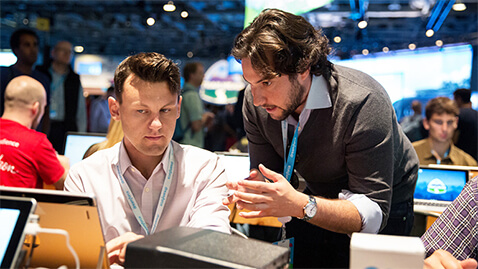 There are so many ways Salesforce can help your retail business be its best. Use NRF as an opportunity to meet with our experts and get a personalized tour of the Salesforce solutions that best address your specific needs. Simply fill out this quick form and we’ll follow up to schedule a time that works best for you.